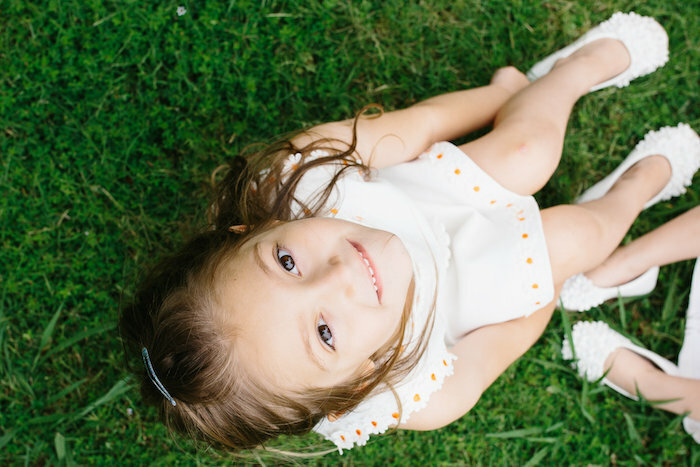 Some of the things I cherish and think about most when Summer-time comes to mind are warm sunny days, children at play, blooming flowers, freshly cut grass, and flowing streams. 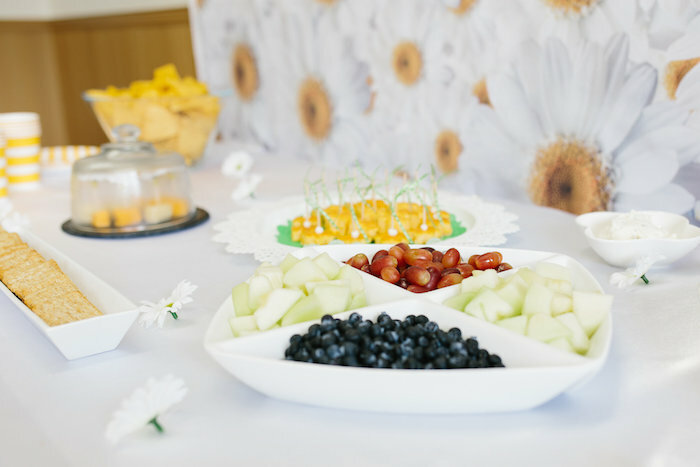 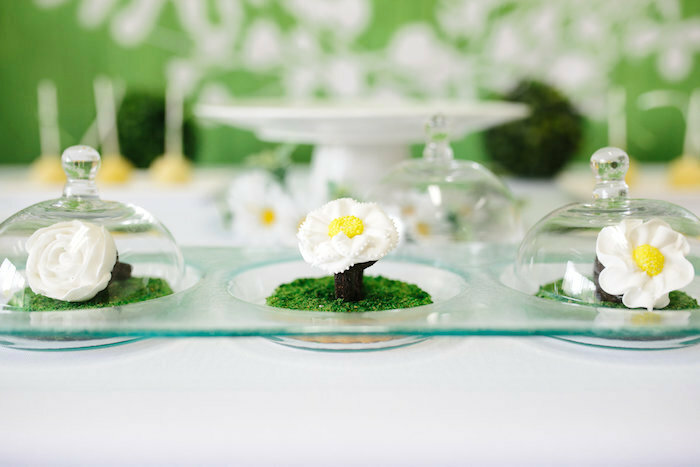 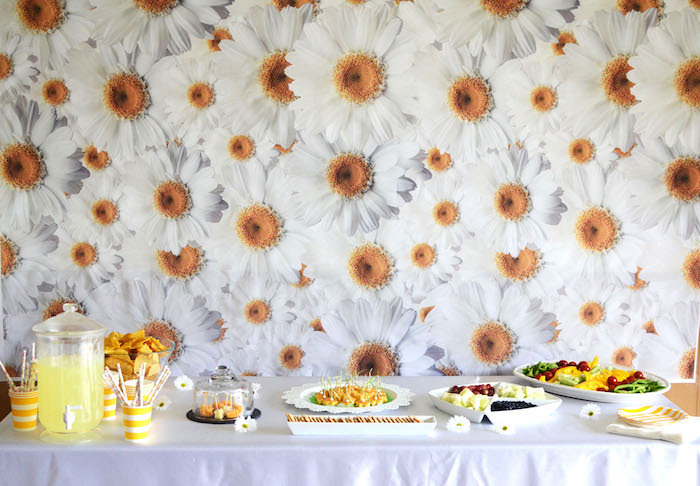 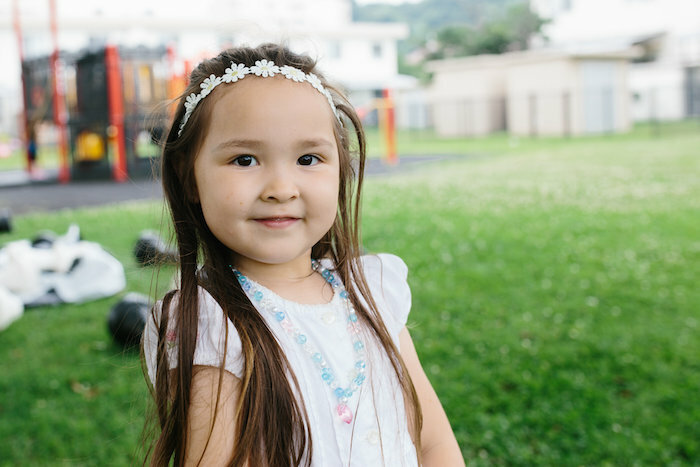 I just love how this darling Daisy Garden Themed Birthday Party submitted by Silviya Schimenti of Kurabiiki out of Yokosuka Naval Base, Japan encompasses the beauty of it all! 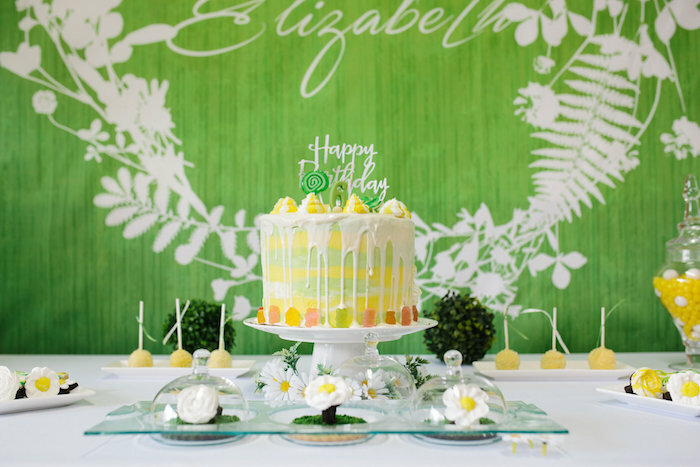 From its darling decor to its custom backdrops and sweets, this lovely birthday celebration will fill you up with sweet party inspiration! 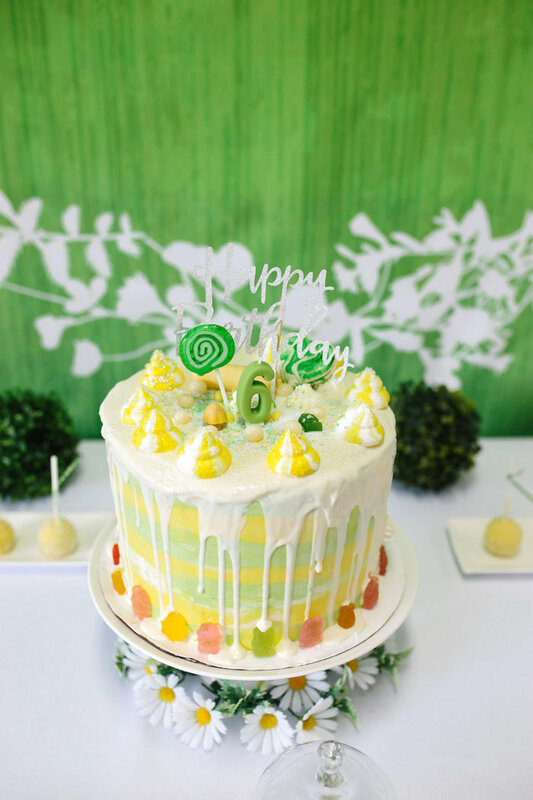 And and incredibly scrumptious looking birthday cake! 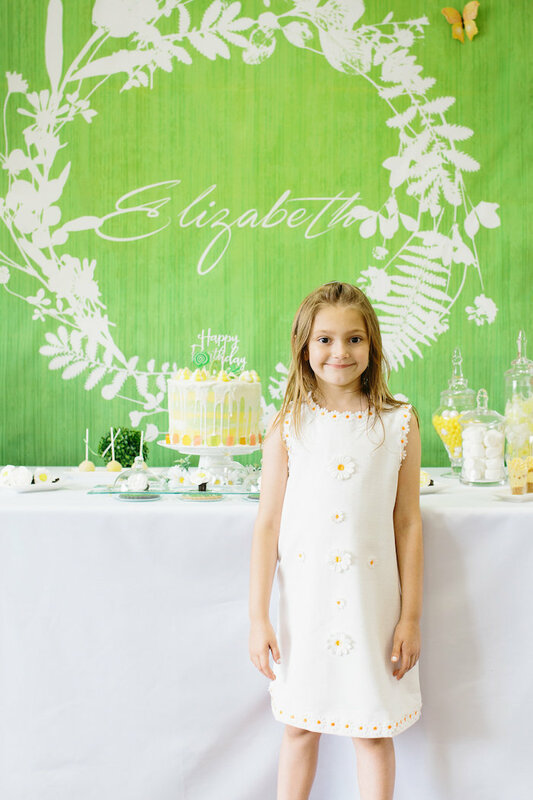 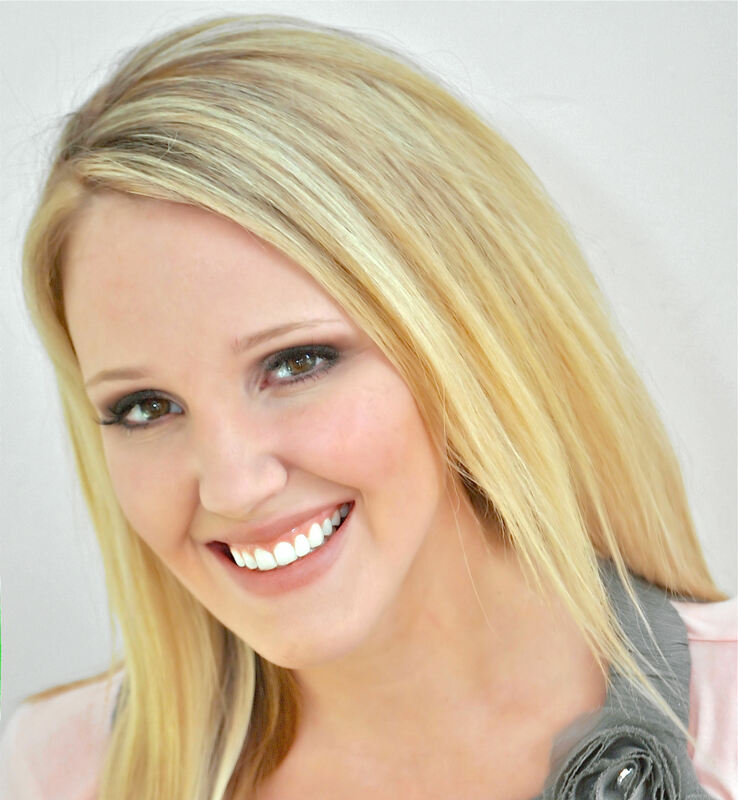 This is what Silviya shared about the party- “Elizabeth was in her first year as a girl scout, and she really wanted to have a daisy themed party this year! 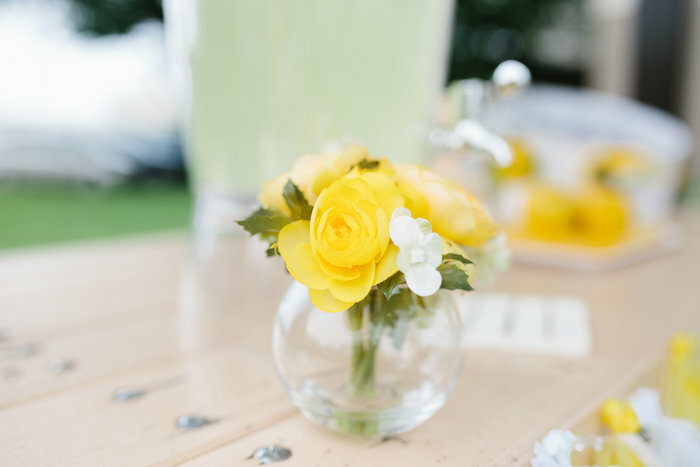 I was so excited to work with this theme. 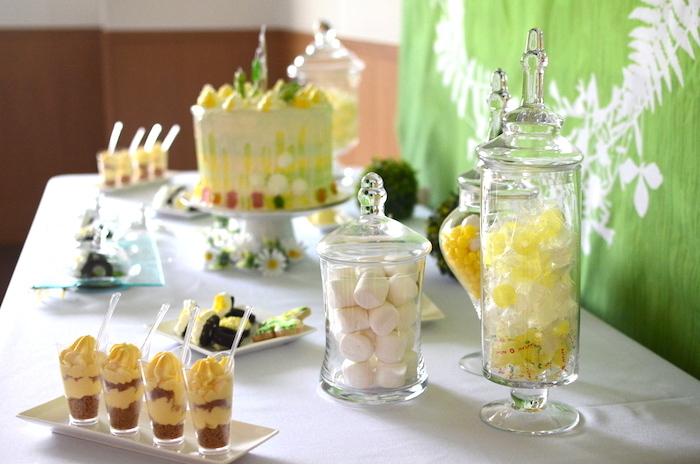 I loved the colors – white, yellow and green. 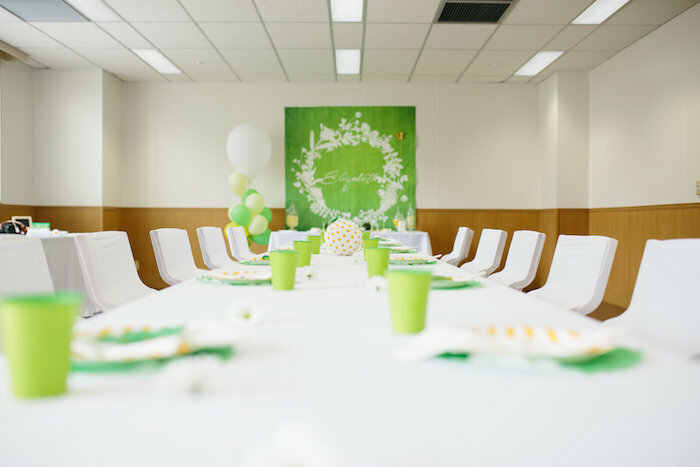 Finally, it wasn’t a princess or movie character party! 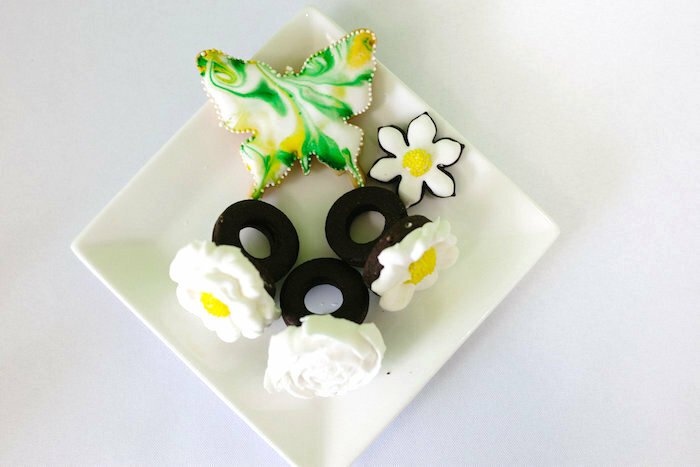 I set up a long table in the middle of the room, with a dessert table at the end filled with all kinds of goodies like gumballs, giant marshmallows, vanilla cake pops covered in yellow chocolate, vanilla mousse cups, and of course cookies  but not just any cookies…but cookie rings. 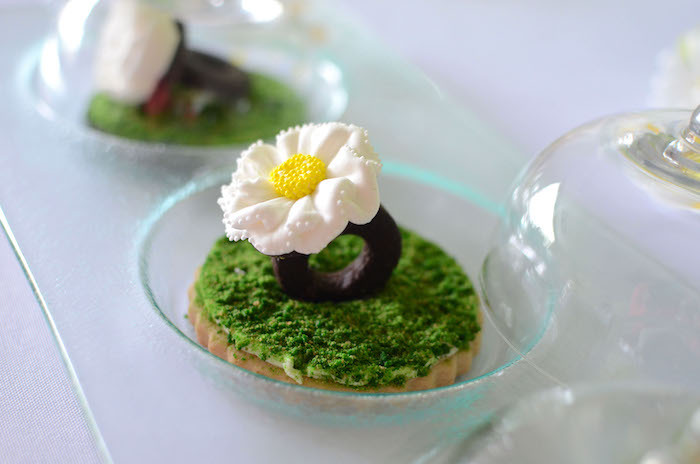 The daisy/ flower cookie rings sat upon moss cookies. 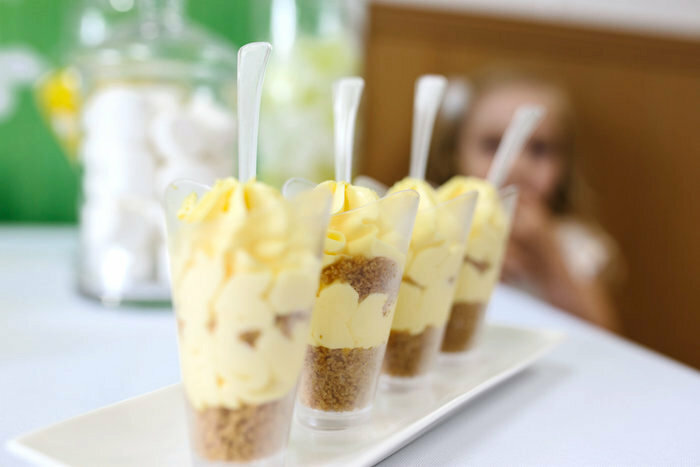 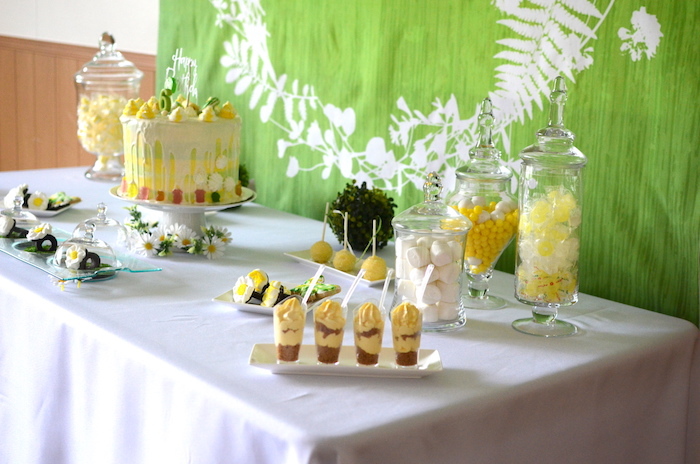 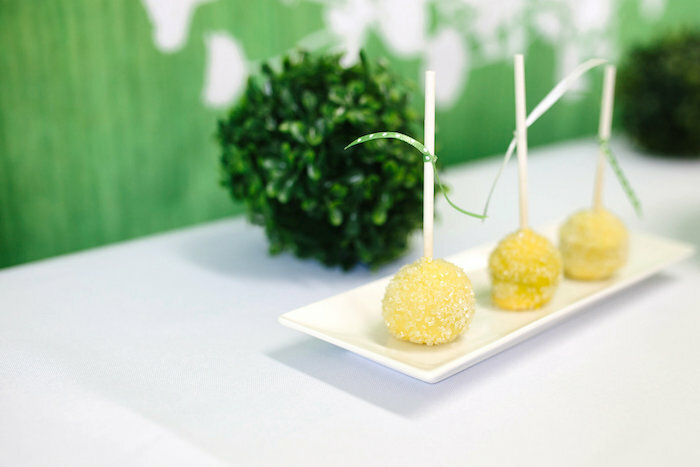 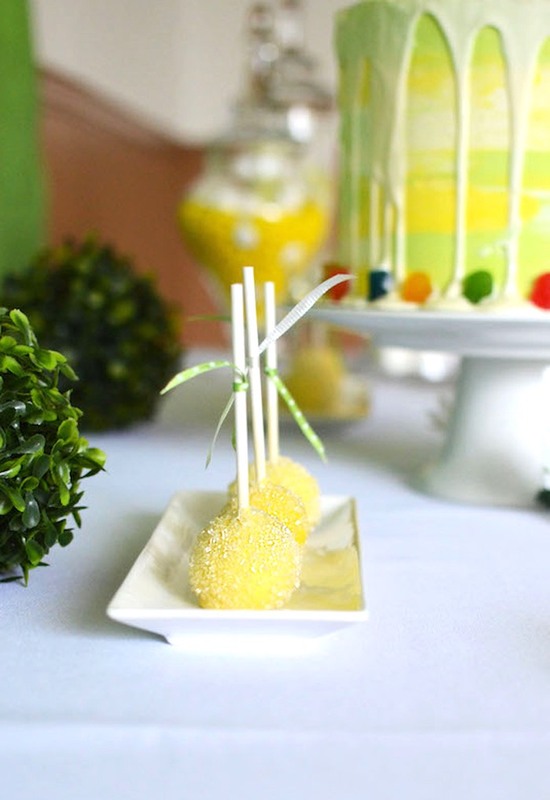 Behind the dessert table was a personalized backdrop. 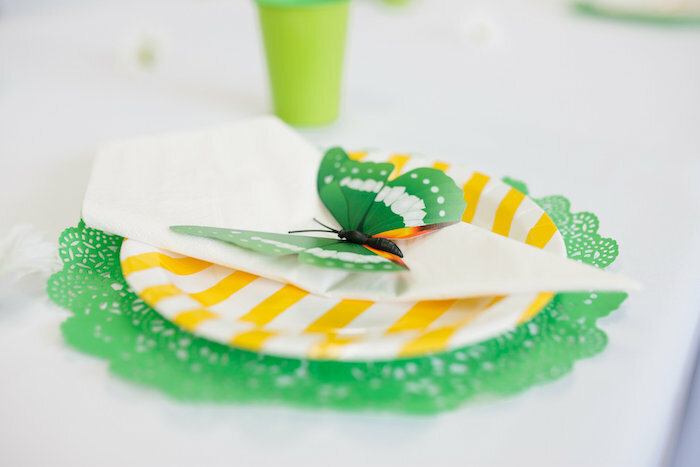 The tablescape was lovely, with a white table cloth, white chair covers, adorable green doilies, colorful yellow paper plates, napkins, and either a daisy or a butterfly. 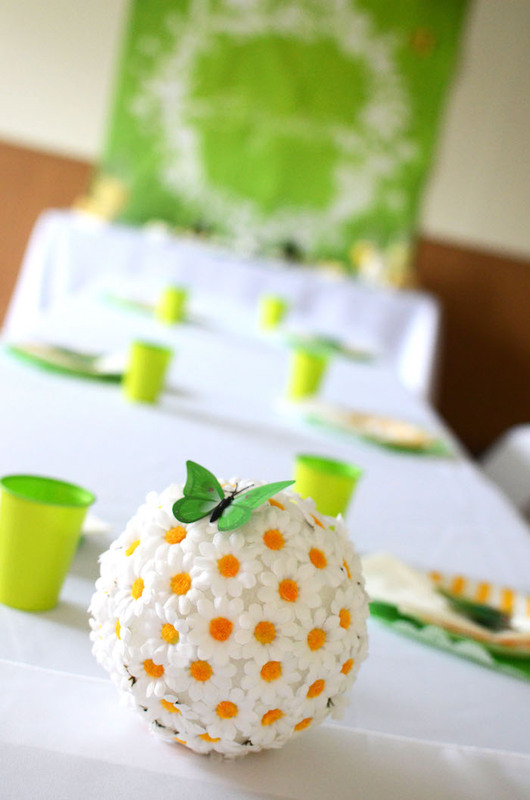 For the centerpiece, I took a large styrofoam ball and decorated it with daisies, and it sat in the middle of the table! 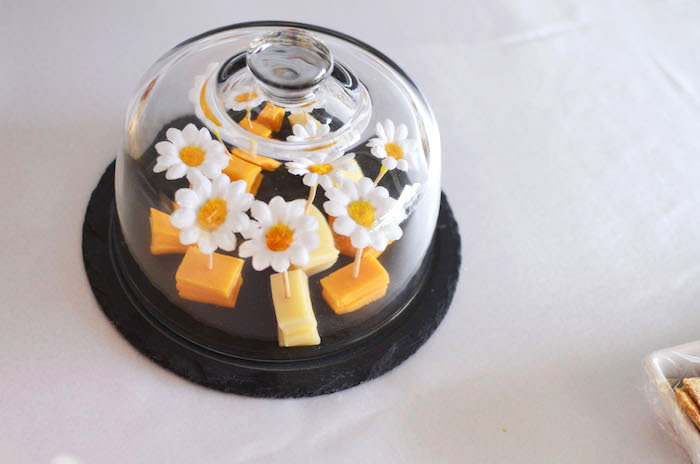 On the other side of the room, there was other snacks including fruit, vegetables, juice, a daisy shaped quiche, and of course, even daisy picks for the cheese! 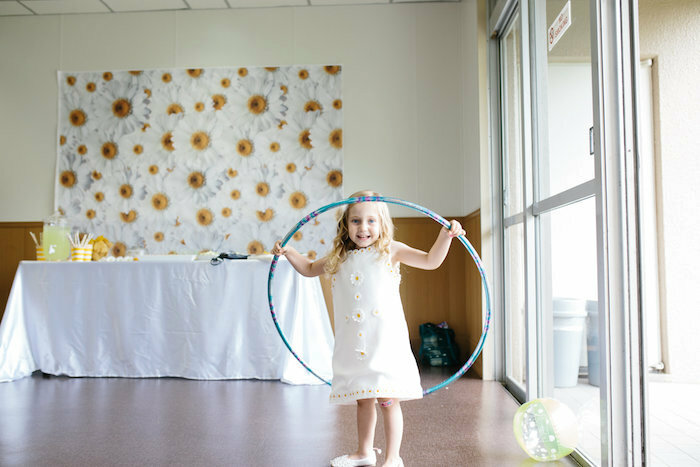 Elizabeth had her Daisy Stand all set up for when her friends arrived! 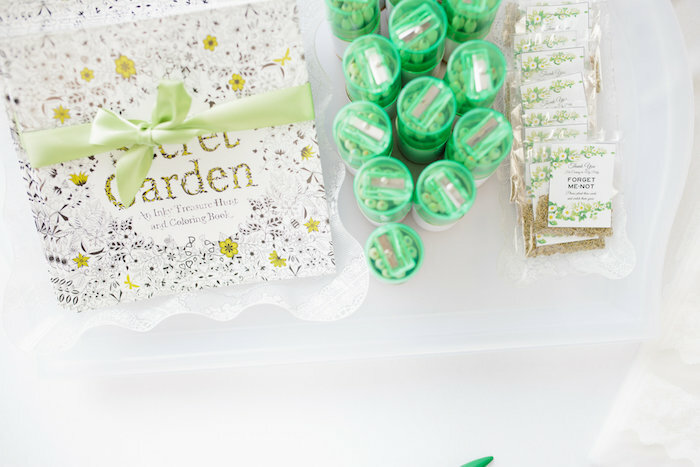 She had daisy headbands for the girls and green bow ties for the boys, and lace ribbon wands for all of the guests. 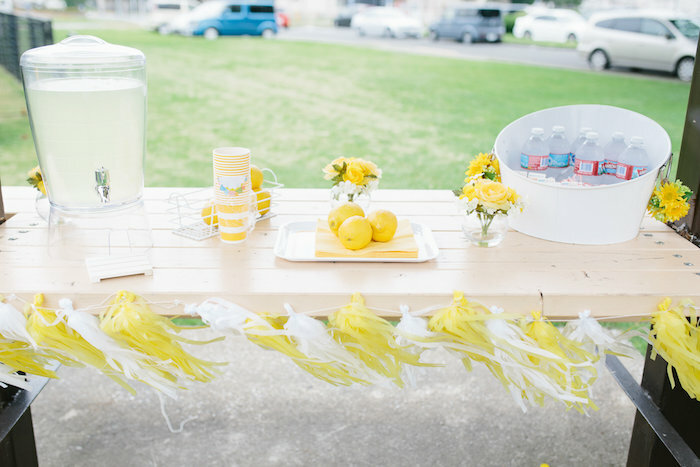 Not only that, she also had her very own lemonade stand setup outside! 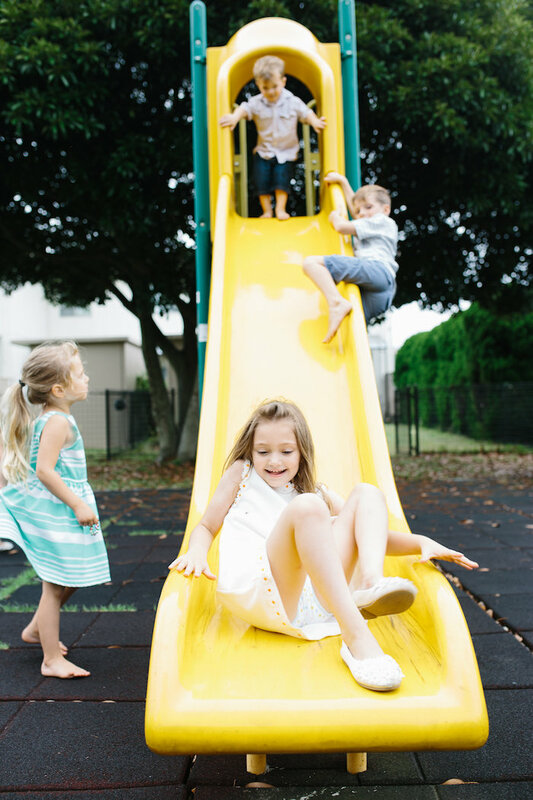 It just so happened that across from the community room was a large playground for the children to play on! 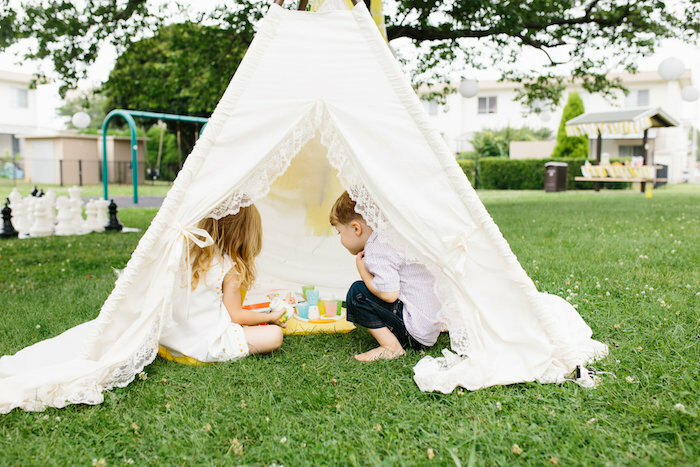 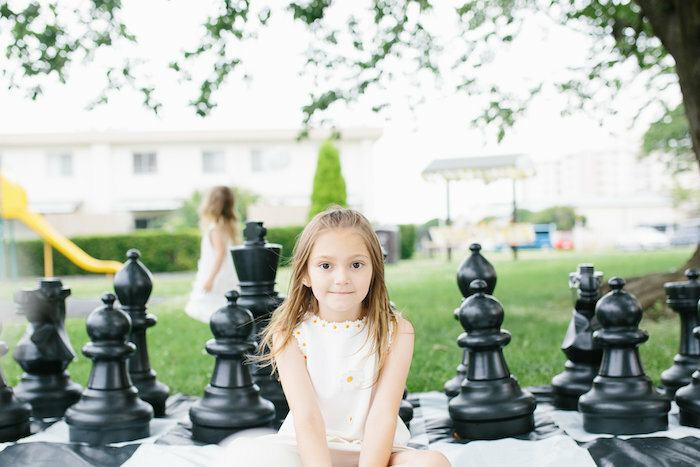 We had a giant chess set the kids could play with, croquet, a ring toss game, and lacy tents set up for the girls to have pretend tea parties in! 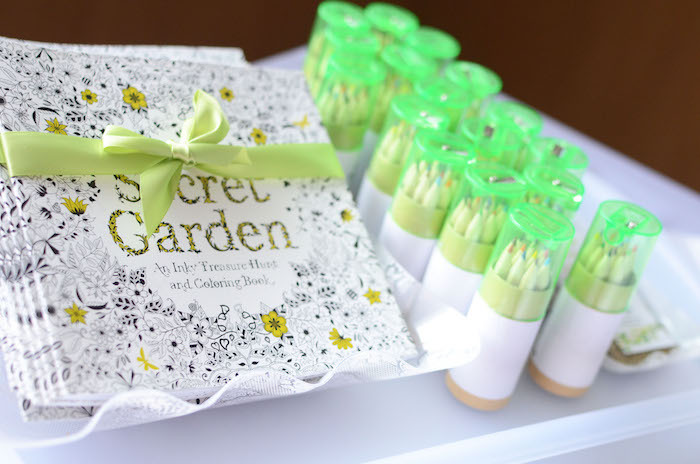 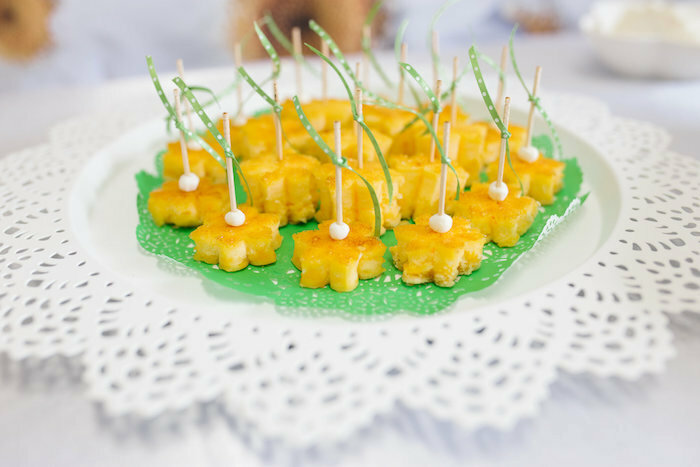 For favors, guests were given a copy of the Secret Garden – beautiful coloring book, a colored pencil set, and a packet of daisy seeds that read Forget Me Not on them. 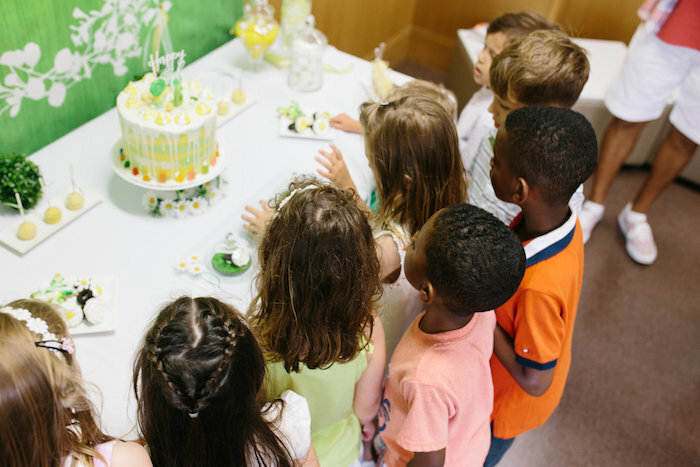 It was for sure a birthday to remember. 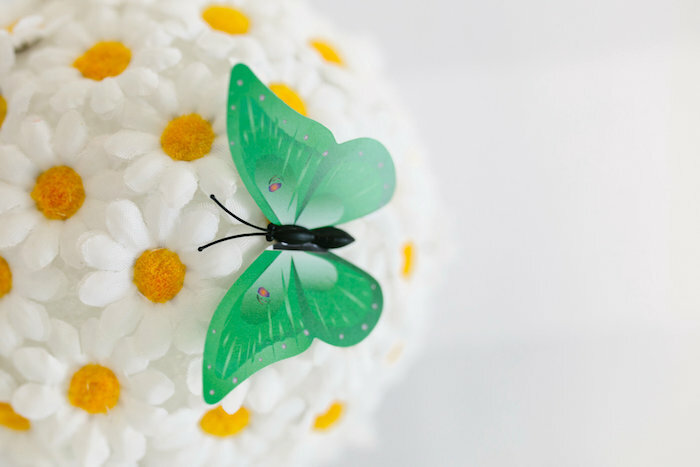 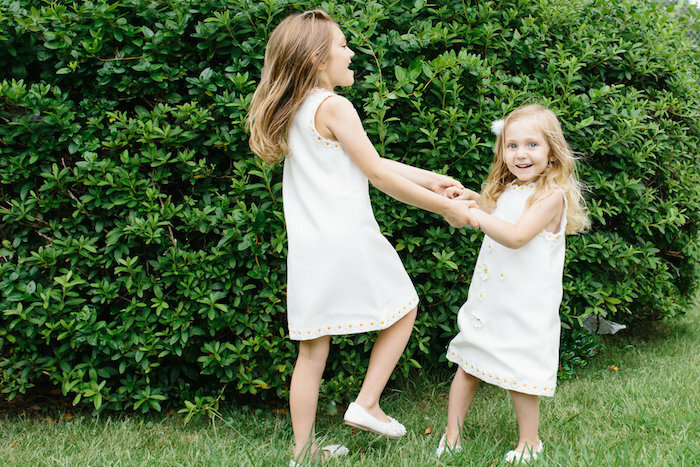 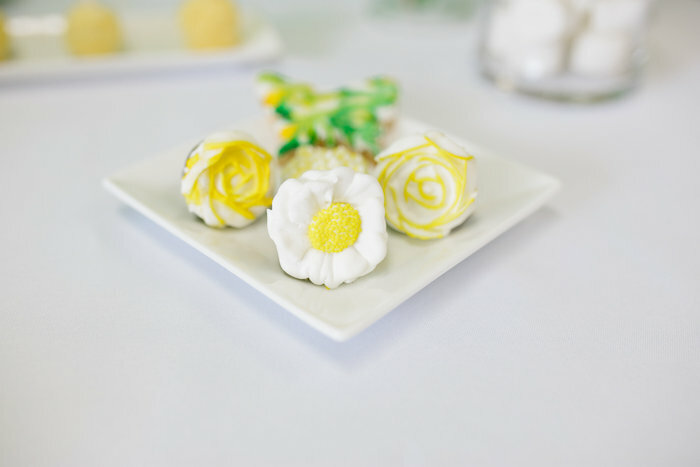 Don’t miss this Flower & Butterfly Garden Party and this Little Daisy Birthday Party! 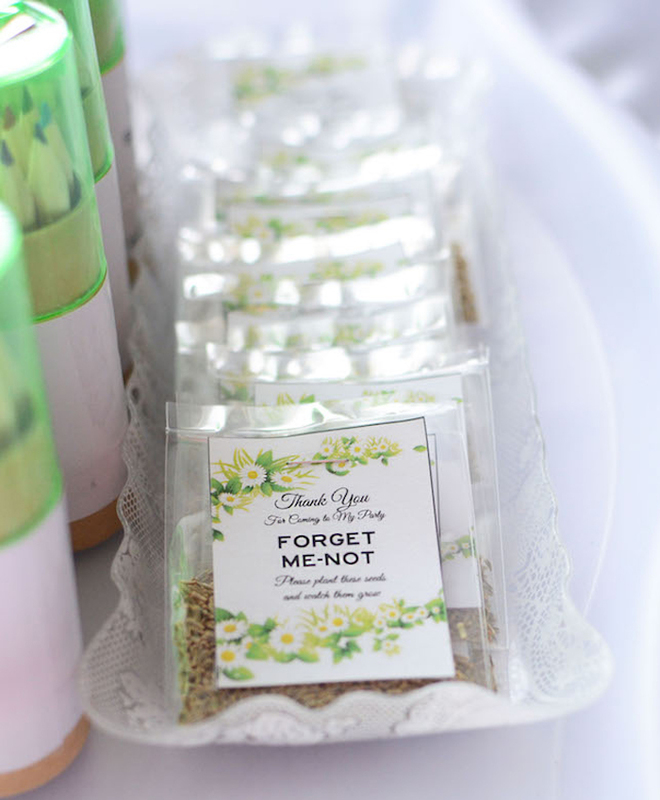 Thank you so much the feature!